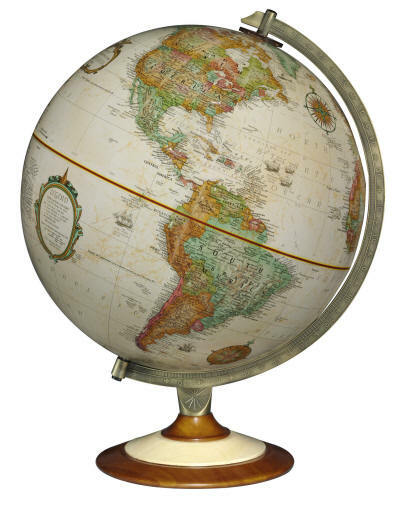 The Salem desk globe features a wood base combining natural and walnut contemporary two-tone style. Thousands of place names include continents, countries, capitals, biggest/important cities, bodies of water and more. Raised relief cartography enhances our understanding of the contours of our world. Die-cast brass plated numbered semi-meridian (arch supporting the globe). Time dial is located at the North Pole.